i. 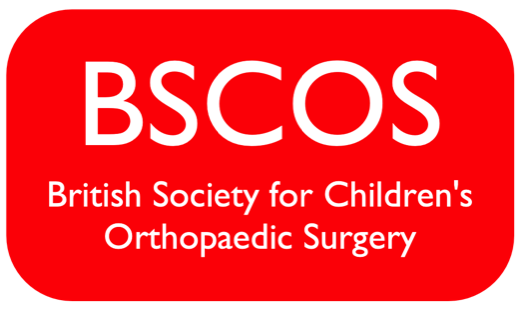 Ordinary Membership shall be open to Consultant Orthopaedic Surgeons working in the United Kingdom, who have a special interest in orthopaedic problems relating to children and who commit a significant proportion of their clinical time to dealing with such matters. Where possible, they should have demonstrated their interest in children’s orthopaedics and fracture management by research and publication. Application for Ordinary Membership shall be made to the Secretary. It must be accompanied by a curriculum vitae and supported by two referees who are already Members of the Society and in good standing. Where an application has been approved by the Board of Directors, it will be announced to the Society Members for their approval. Ordinary Membership will cease on receipt of a member’s written resignation, or if there is a failure to pay the annual subscription for two consecutive years. It is expected that a Member will attend the Society’s annual scientific meeting or Allied Society meeting regularly. Membership will cease if a Member has not attended a relevant scientific meeting for three years. ii. Honorary Membership may be offered to distinguished surgeons and scientists who have a special interest in children’s orthopaedics. Recommendations may be made either by the Board of Directors, or to the Board of Directors by 20 Members, and will be approved at the Annual General Meeting of the Society. Applicants should be proposed and seconded by Members of the Society as described above. Where an application has been approved by the Board of Directors, it will be announced to the Society Members for their approval. For those in a training or locum post, the tenure of their Associate Membership will be the duration of the training or locum post and for a maximum of five years. For those holding substantive appointments, Associate Membership is not time-limited. Where an Associate Member has been appointed to a substantive Consultant Orthopaedic appointment with a special interest in orthopaedic problems relating to children and where they will commit a significant proportion of their clinical time to dealing with such matters, they shall no longer be eligible for Associate Membership and shall become an Ordinary Member. Associate Membership will cease on receipt of a Member’s written resignation, or where there is a failure to pay the annual subscription for two consecutive years. Associate Membership will also cease if the Member has not attended a relevant scientific meeting for three years. iv. Affiliate Membership is available at the discretion of the Board for appropriately qualified allied health professionals who regularly treat children in an orthopaedic capacity, surgical or otherwise. It is expected that this aspect of their work is carried out in conjunction with Ordinary Members of the Society. A letter of application should be sent to the Honorary Secretary together with a current Curriculum Vitae and supporting references from 2 Ordinary Members of the Society in good standing. Where an application has been approved by the Board of Directors, it will be announced to the Society Members for their approval. Affiliate Membership will cease on receipt of a member’s written resignation, or where there is a failure to pay the annual subscription for two consecutive years. Affiliate Membership will also cease if the Member has not attended a scientific meeting for three consecutive years. v. Medical Student Membership is available at the discretion of the Board for motivated medical students studying in a UK Medical School. It is expected that they would have formed a strong interest in children’s orthopaedic surgery during their undergraduate training. A letter of application should be sent to the Honorary Secretary together with a current Curriculum Vitae and supporting references from 2 Ordinary Members of the Society in good standing. Where an application has been approved by the Board of Directors, it will be announced to the Society Members for their approval. Medical Student Membership will cease on receipt of a member’s written resignation, or where there is a failure to pay the annual subscription for two consecutive years. Medical Student Membership will also cease when the student completes their undergraduate degree when they will have the opportunity to apply for Affiliate Membership of the Society. vi. Overseas Membership shall be available to Ordinary Members who are working abroad, have a special interest in orthopaedic problems relating to children and who continue to commit a significant proportion of their clinical time to dealing with such matters. Application for Overseas Membership shall be made to the Secretary. It must be accompanied by a curriculum vitae and supported by two referees who are already Members of the Society and in good standing. Where an application has been approved by the Board of Directors it will be announced to the Society Members for their approval. Overseas Membership will cease on receipt of a Member’s written resignation or where there is a failure to pay the annual subscription for two consecutive years.